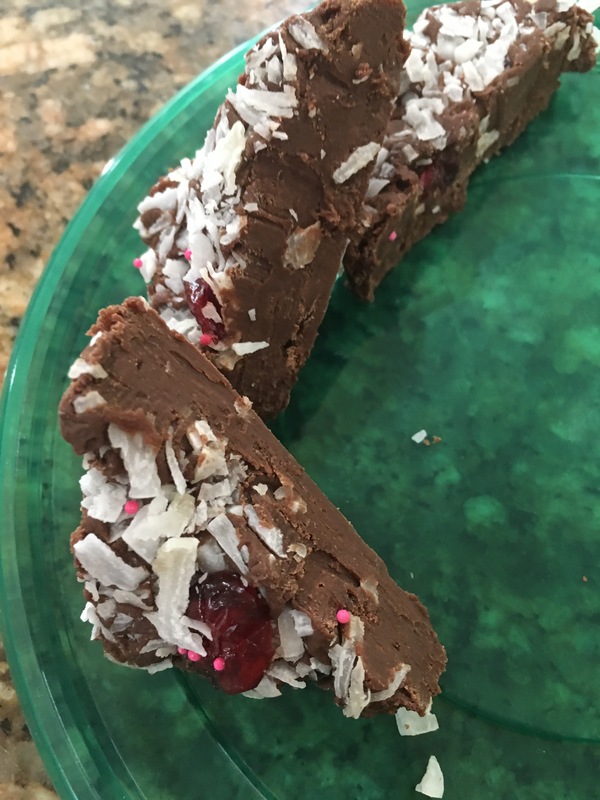 This decadently delicious fudge recipe has been handed down to me by my ma, who would make it for us , just so we would not go out and buy chocolate bars. My ma is excellent when it comes to making desserts and that’s where I think I get it from. I love making desserts too. My ma’s recipe calls for chopped walnuts which I omitted due to nut allergies and it also calls for graham crackers crushed by hand or I sometimes pulse it in the food processor. You have to give this receipe a try. It is soooo smooth and creamy and just melts in your mouth. 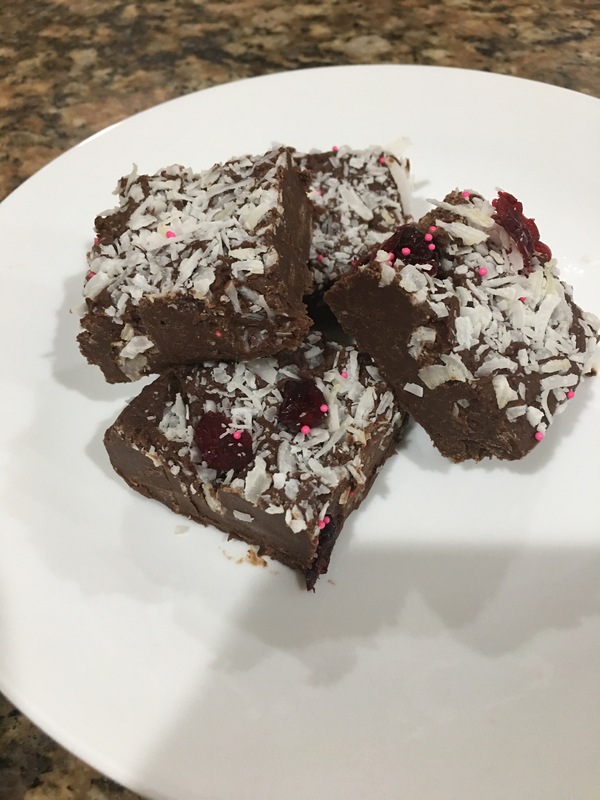 The sweetness of the fudge is just right for your palate . 1 Heat condensed milk for a minute on the stove. 3 Spread on to a baking dish lined with parchment paper . 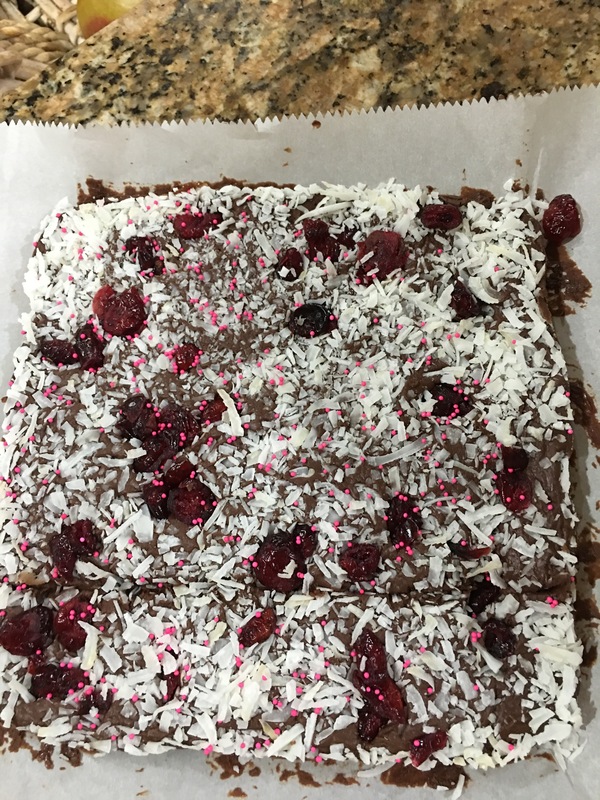 4 Sprinkle coconut, cranberries and sprinkles to add touch of love.